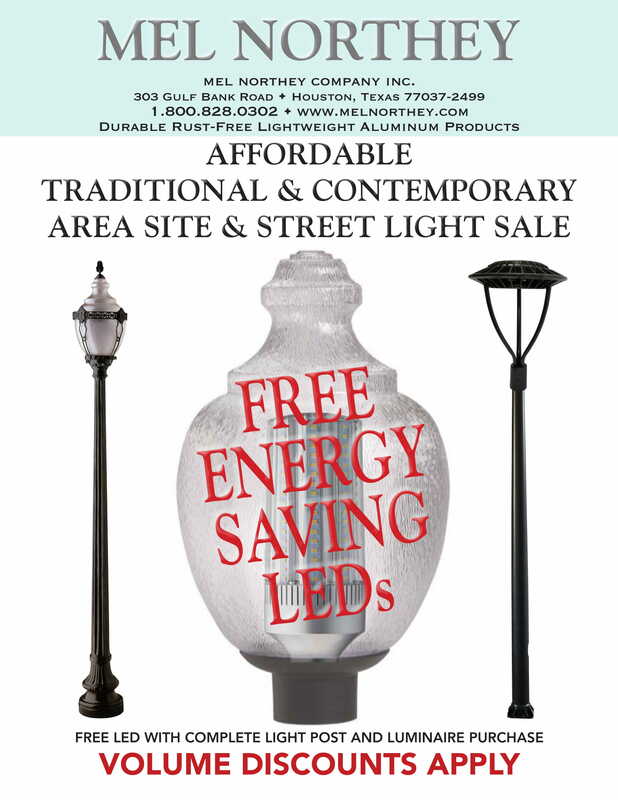 We have been marketing direct to the builder, developer, and contractor market since 1979, offering you affordable decorative cast aluminum lamp posts, street signs and decorative mailboxes. Beginning in 2008 we are offering affordable dark sky options that decrease the amount of night sky pollution, while reducing the electrical energy usage by as much as 42% in decorative outdoor lighting. We offer affordable dark sky solutions that cut light pollution, save energy and decrease the amount of carbon emissions by directing wasted up-light downward as needed to help our environment. Affordable dark sky solutions can help America go green by reducing wasted up-light and decreasing harmful carbon emissions to help fight against global warming. Please give a call or contact us for additional information or a no obligation price quote. 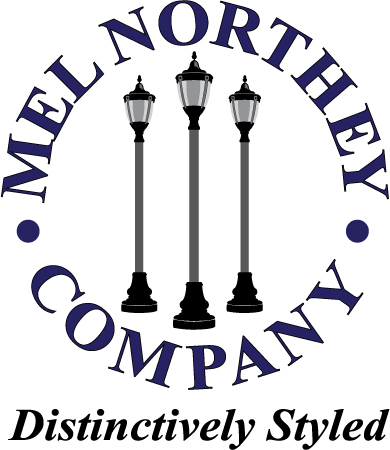 Welcome to the Mel Northey Company, your builder and contractor headquarters for affordable Cast Aluminum Lamp Posts, Mailboxes, Street Signs and Sign Posts. Please browse our current product offerings by using the navigation menu on the right hand side of the page. We thank you for your patronage and hope you enjoy your visit!